Exceptional offering, a gorgeous setting with green rolling hills, lovely mountain views, privacy, immaculate condition throughout. The home overlooks a large pond with water feature. 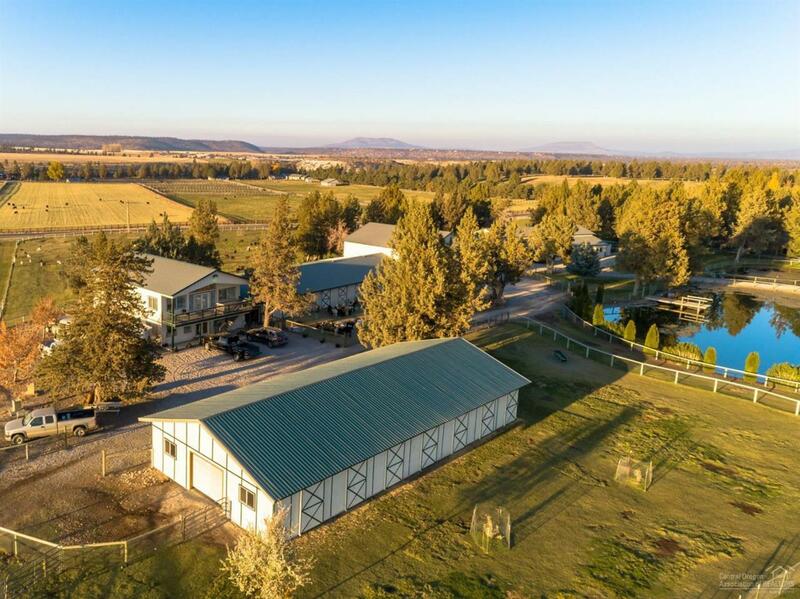 The property has high quality fencing, extensive underground irrigation, well-appointed outbuildings, high quality hay production and more. Currently operating as a prestigious Alpaca ranch. This special property can be a turnkey operation or easily converted to fulfill your dreams! Listing provided courtesy of Windermere Central Or. Real Estate.